Federal® Gold Medal® Shot Shells. 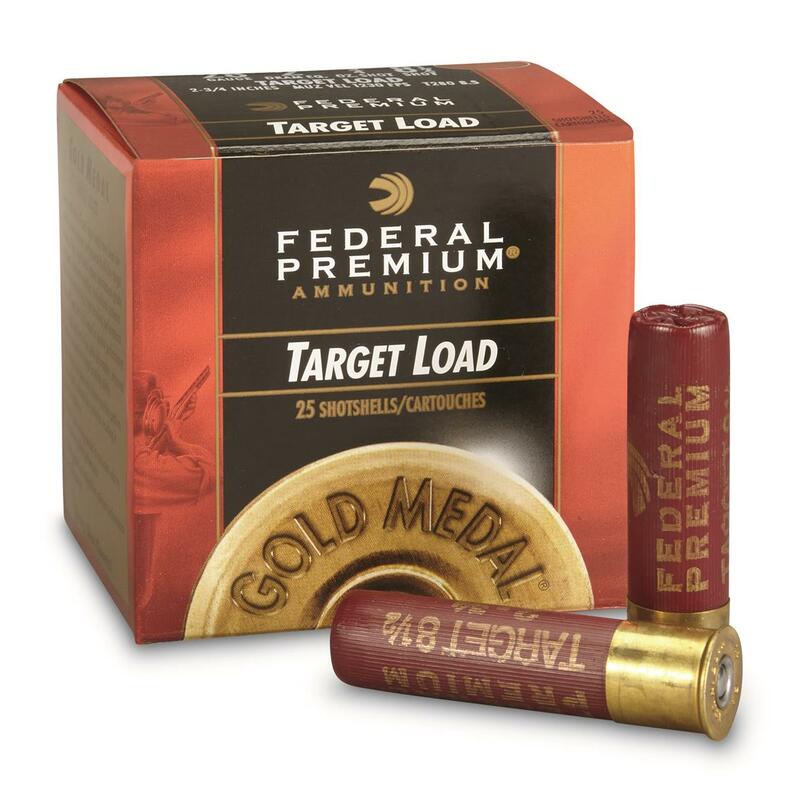 Federal® turns out the highest quality target ammo in the world, and that includes Gold Medal® Shotshells. You get the hardest pellets and Federal's exclusive lead styphnate primers. This is high quality ammo for clay targets or small game hunting. Don't forget to load up on Pellets-00 Buckshot at discount prices. Shot Weight Oz./grams: 3/4 oz./21.25 gm. Federal, 28 Gauge, Gold Medal Plastic Shot Shells, 2 3/4 3/4 oz. #8 1/2, 25 Rounds is rated 4.7 out of 5 by 9. Rated 5 out of 5 by DRB72 from Good value! Rated 5 out of 5 by Kahuna from Good prices! Good products at good prices and when there is Free Shipping - Excellent! !I must admit my Trap scores haven't improved - yet!! Federal Classic, 20 Gauge, 2 3/4" 3/4 oz.